Jezza Williams admits he made a mistake. A river and canyon guide he was mentally tough, physically hardened, spirited and free. While travelling the world sharing his zest for wild places and wild adventures, complacency and overconfidence blindsided him. He was 35 years old. ”I slipped. It was more like a cat dive. Head first into rocks. Not a good outcome. You can say that again. A superman dive off slippery rocks ended with a bone shattering crack. Jezza’s neck shattered at C5 and C6, his lungs collapsed and he very nearly drowned in the waterfall. Surviving this was remarkable, waking up from a coma one month later miraculous. It takes a strong mind to go through something on this scale and still come out on the other side confident and happy within oneself. It was a rough ride for the 11 months of rehab in a Swiss hospital and the two years that followed . Ironically, Jezza’s risk taking experience had prepared him well for the mind game that quadriplegia is. Jezza doesn’t recall hitting rock bottom. Instead he was too busy looking up. He took little steps, knowing they’d lead to bigger achievements. And top of his list was was getting back into the outdoors. But he was soon disappointed. He found there was a lack of infrastructure and support making it difficult for someone like him to get some outdoor adventure. This is when he started his non-profit organisation Makingtrax. The goal. 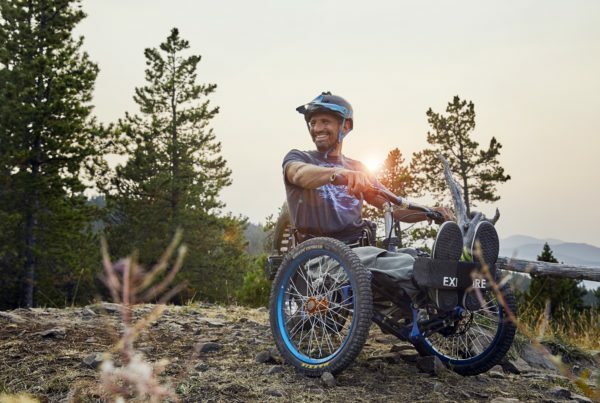 Make adventure tourism inclusive for all. Jezza also discovered you need the right equipment, and some of it just wasn’t readily available. The answer? Build your own. 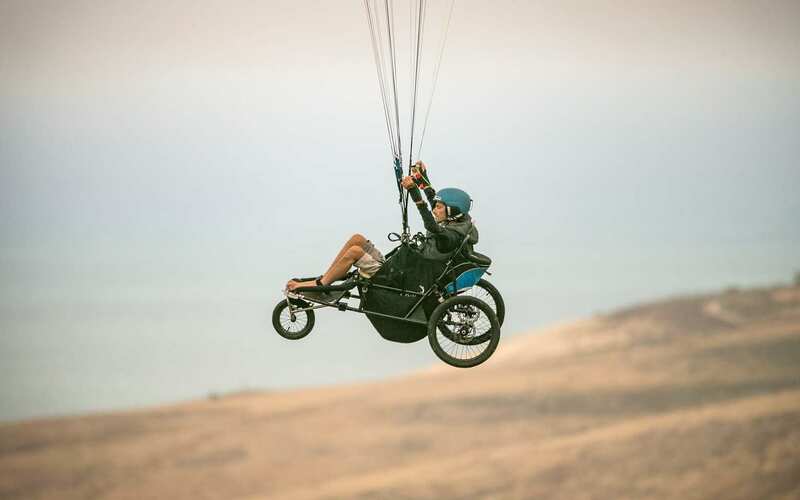 One of those adaptions was a fibreglass buggy so that wheelchair users can paraglide solo. Jezza maintains you do need to take a few risks in life to get what you want out of it, and in his world the risks he takes are totally worth it. For people who use wheelchairs, Jezza says rafting is the ultimate activity. Not only is everyone sitting down, but it is an amazing way to experience the wilderness and nature. To make rafting accessible Jezza and his team adapted sailing harnesses to fully supports the body and allow a paralysed person to sit up on the outside of the boat like anyone else. 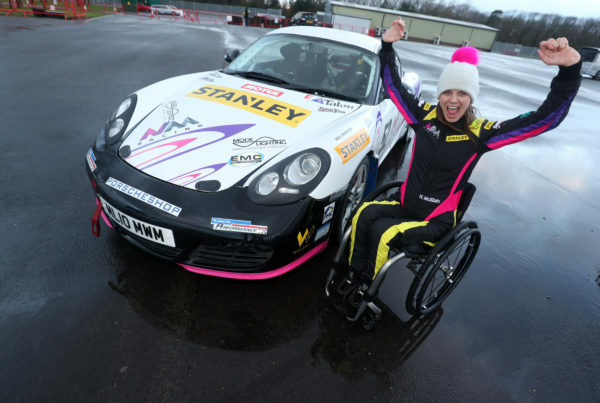 They also used dry suits which help people with spinal cord injuries better control their body temperature, and straps which allowed them to have their hands on the paddles and feel a part of the action. Another epic adventure is the Mongol Rally, an overland car rally from London to Mongolia. After getting a crew together and the necessary equipment they spent two months in two little sedans driving over 26,000 kilometres through some of the most remote places on earth. ”Personally, I am pushing the limit, it’s right on the edge. But I’d rather push the limit, go out and live the life I live than stay at home and be like... Aww I can’t do this stuff. They were also robbed in Switzerland, lost a lot of their video production equipment and insurance papers for one of the cars. The most fun part of it for Jezza was discovering places he never even knew existed. 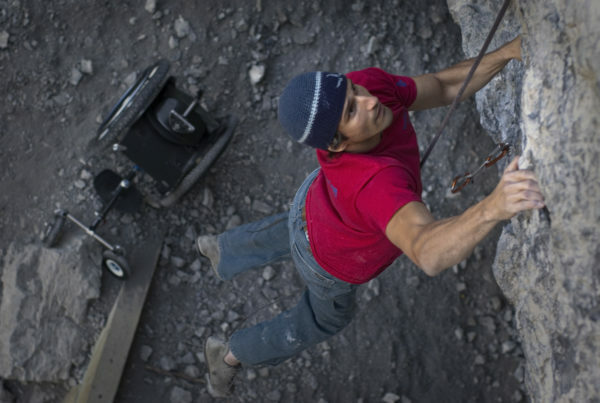 After travelling all across the world as a guide, he needed to see what was possible for a quadriplegic (tetraplegic). The whole trip was a massive risk – An infection, or being separated from his crew, could have been disastrous. But a safe return made him more confident in his own abilities. And it’s this sort of confidence that Jezza is passing on to others. Jezza is now on a mission to resurrect the global outdoor scene and make it more inclusive. Under the Tracks Approved intiative, he endorses outdoor companies through education, adaptation and co-operation so they can take anybody and everybody on their activities. And the work is paying off. You’ll now find an ever increasing number of outdoor tourism operators in New Zealand that are accessible for all – that is, anyone willing to give it a go and get a little wild. adaptdefy on Jezza, we’ll see you out there. Listen to the Podcast with Jezza Williams now.